Description: Learn brush techniques, color mixing approaches and history from the Impressionist masters and their artistic journeys. Each class will begin with a presentation exploring artists, color palettes and techniques. We will analyze their works to see the right approach to develop a successful impressionistic painting. Students will be working from local Bayside and Fenwick Island photographs while completing a painting in the Impressionist style. Supplies for an additional $45; they will be oils and you will be able to take the kit home. Ladies night, team building, family bonding,... the possibilities are endless! You even get to pick the subject/theme of the paintings. Three hours, I supply the paints, brushes, supplies, inspiration & guidance. You supply the music, beverages, and snacks. 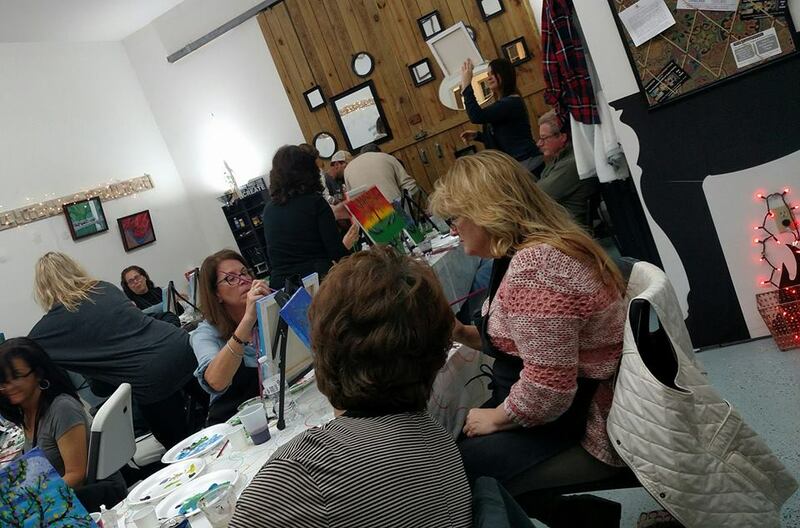 $30 per person and leave with your own completed painting! Maximum time 3 hours. Contact me to reserve a date! WHAT: Each party provides a themed appropriate art project using watercolors and non-staining supplies. The project lasts 30-45 minutes. The party lasts 2 hours. Bring your own cake, snacks, drinks,...Pick one of our themes or make a special request. Payments for parties are due 50% to hold the date and the remaining balance the day of the event. WHAT: Contemporary painting project on canvas. The project can be planned for you. Bring your own food and drinks and enjoy a casual and creative event. HOW MUCH: $160 for the first 8, $20 for each additional participant.